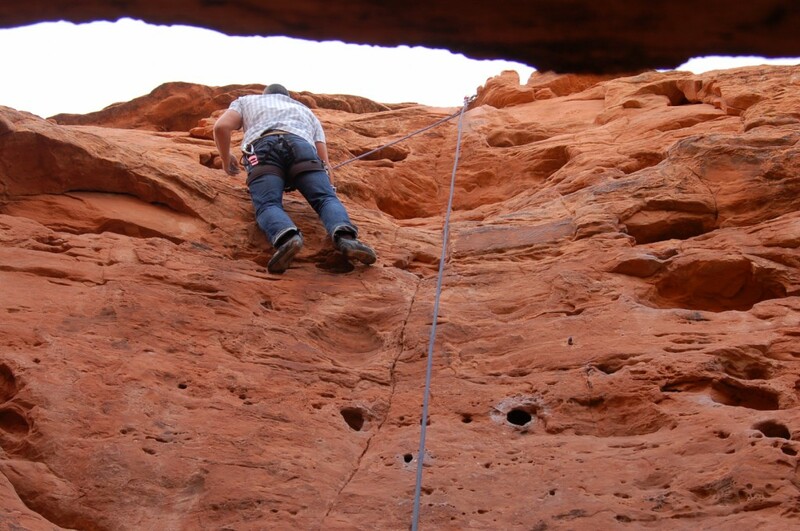 ST. GEORGE – The Southern Utah desert is a rock climber’s paradise. 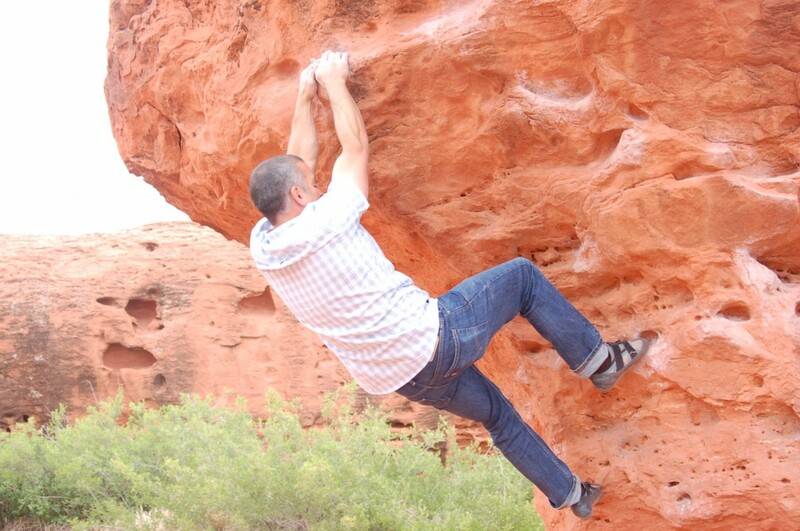 Strewn with towering red rock cliffs and boulders shaped by weather and time the landscape offers nearly endless nooks and crannies to climb, boulder, rappel and traverse and – for Iuri Melo, a licensed clinical social worker based in St. George – it provided an opportunity to create and practice what he calls adventure-based, experiential therapy. For Melo, his love affair with rock climbing coincided with the beginning of his clinical career as a social worker in 2004. 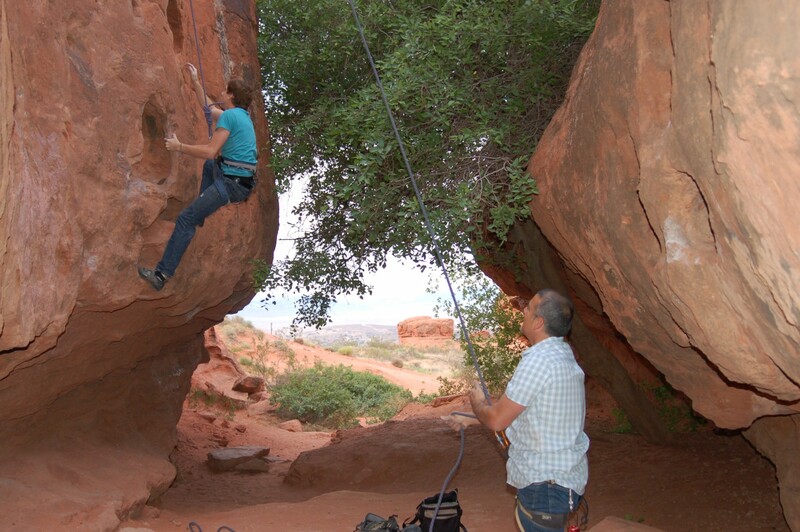 The more he climbed the more he could see how many practical applications the exercise of climbing had and how beneficial it could be to his practice as a clinician. “The whole experience, the whole model of climbing, the whole model of bouldering, of rappelling, of working a problem just fit so well that I thought ‘I have to begin bringing my people out here,’” said Melo. As a private clinician Melo works with a variety of clients but has a special affinity for working with people who suffer from depression and anxiety. The adventure-based portion of his practice sees adults and youth both male and female but it is particularly effective with his adolescent clientele. Instead of just talking face to face with a therapist, patients are immediately thrown into a position of trust as they are roped in and asked to climb. They are asked to tackle a problem, face the inherent fears associated with climbing a 30 foot cliff, and to learn from and trust their therapist. 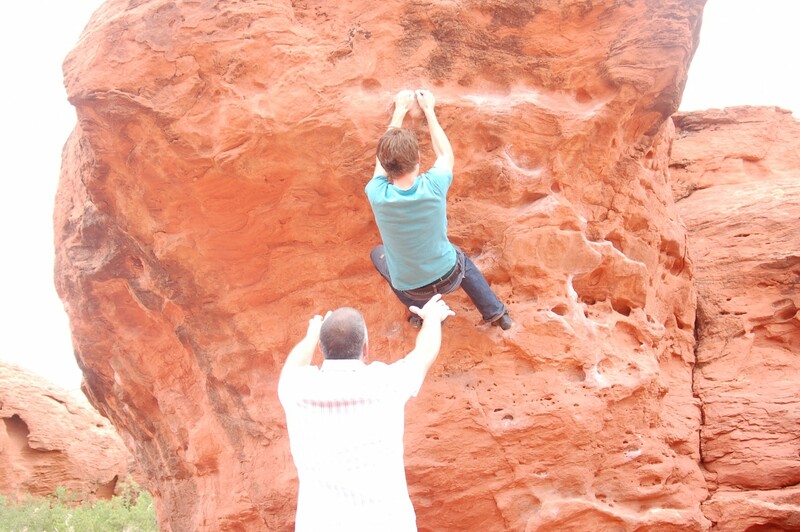 It is this relationship of trust and the bond that develops between the therapist and the patient that studies have shown to be most significant in treatment outcome, said Melo, which is why climbing is such a practical model, especially for teens. 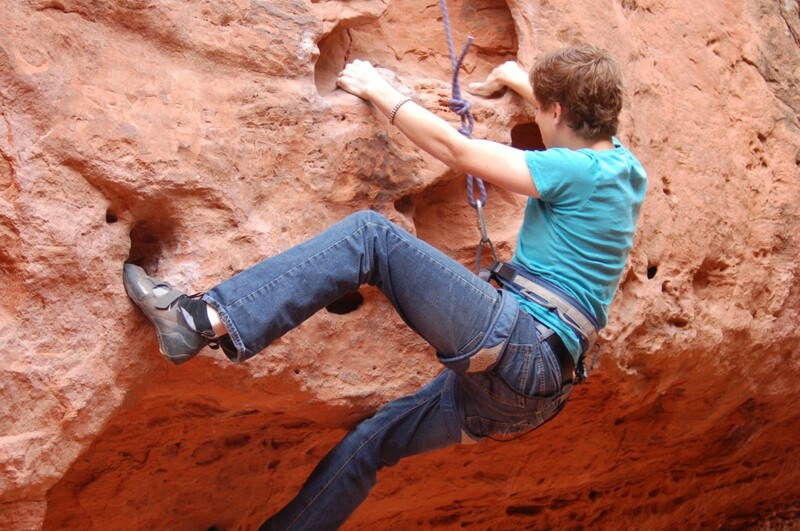 Climbing also adds the benefits that come from physical exercise, which Melo, as a clinician, feels to be extremely effective in the treatment of anxiety and depression almost more so than medication. Bronson Holland, a 16-year old who agreed to be named for the story, came to Melo’s office with the vague idea that he would be doing a little climbing. Their first meeting was in Melo’s office where they talked a little and got to know one another. The second time they met they headed out to climb. 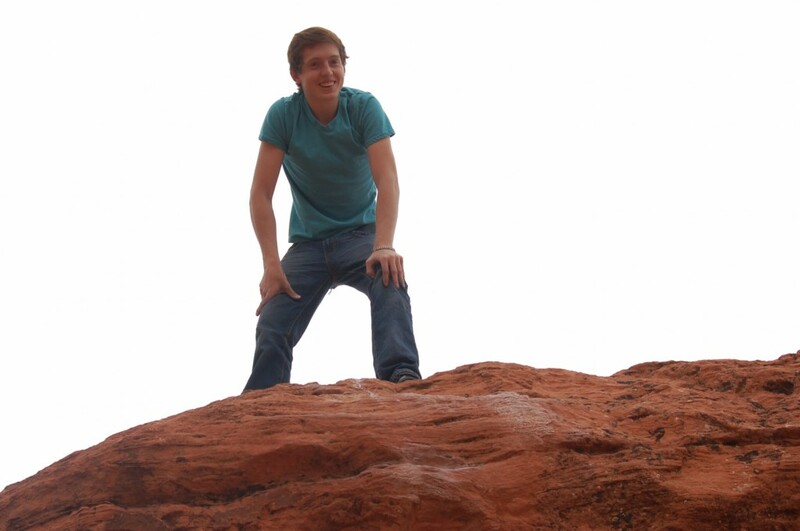 Holland recalled that his first time at the rock he was told to climb without being given any instruction. 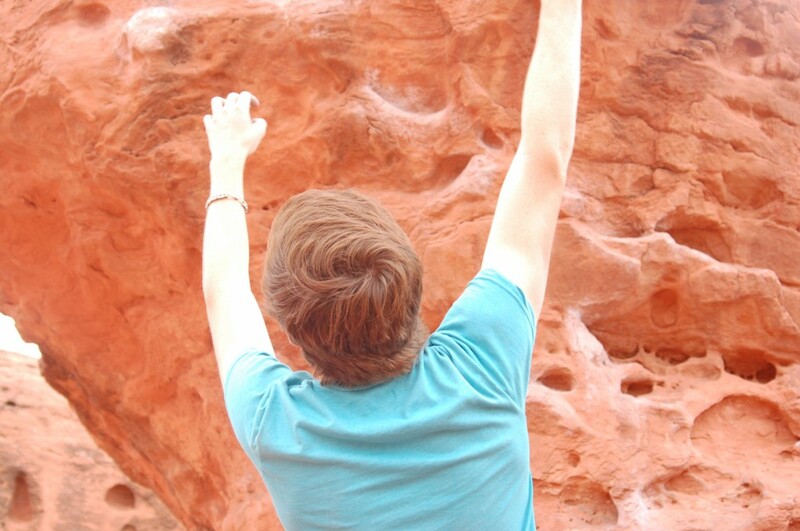 On his second attempt, Melo taught him how to climb so that he could see the difference. Melo used the rock as a metaphor for tackling the problems of life and taught Holland to take things little by little, move by move and to not be discouraged if you don’t succeed on your first try. 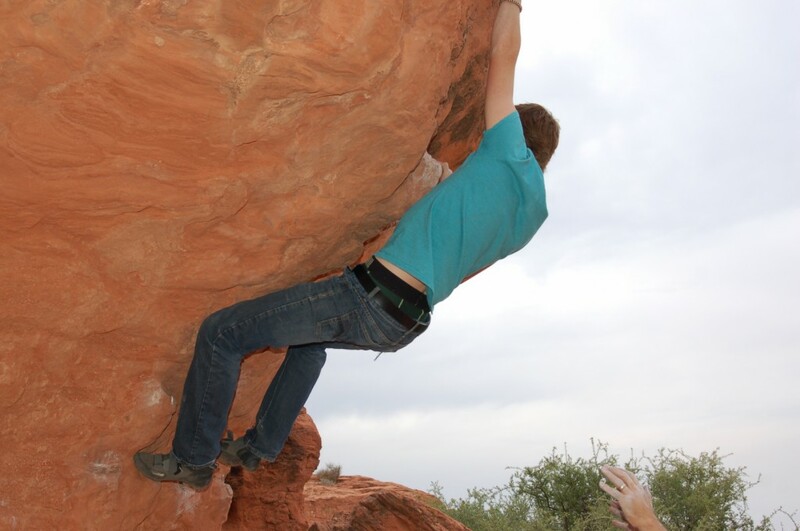 Holland spent six weeks and made nearly sixty attempts on a boulder nicknamed “the intimidator” until he was able to successfully reach the top. For Melo this is a prime example of how the experiential therapy is supposed to work. Under Melo’s direction, Holland has learned not only how to climb but how to properly set up and secure the ropes, belay climbs and rappels, and spot on bouldering traverses. He has also purchased his own climbing equipment and regularly climbs with friends and family members. Like Holland, many of Melo’s clients continue with climbing long after their therapy because, said Melo, it is something that they can take and make their own. It is these kind of positive experiences that have brought Melo back to the rocks for 10 years. “It is just wonderful, I don’t know why anyone would go anywhere else,” Melo said. Proud of this wonderful person!